Members get access to a regular digest of professional articles and legal updates. The partial list below is a sample of some of the professional articles you have access to. Members have access to legal updates and professional articles on topics like Interview & Interrogation, Negotiation, Digital Forensics and more. Investigators Anywhere members receive free anytime access to recorded webinar training presentations. 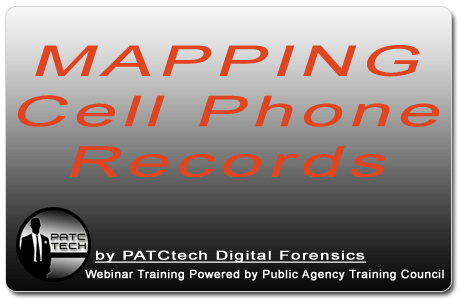 Topics include interview & Interrogation, Computer Forensics, Cell Phone Forensics, Investigative Procedures and more. We’ve made one of these webinars available for you to view now without a membership to our network. As an Investigators Anywhere member you receive discount access to the specialized services of recognized experts in many fields. Those listed below represent only a partial list of experts available for case consultation or expert testimony. As an Investigators Anywhere member you not only have discount access to training that will help equip you to conduct your own forensic examinations, you also have discount access to PATCtech Digital Forensics services – an industry leader in the forensic acquisition and analysis of digital evidence. Whether you’re working a case involving a cheating spouse or assisting with a corporate investigation involving espionage, you have access to forensic services that can recover the electronic evidence you need for your case!